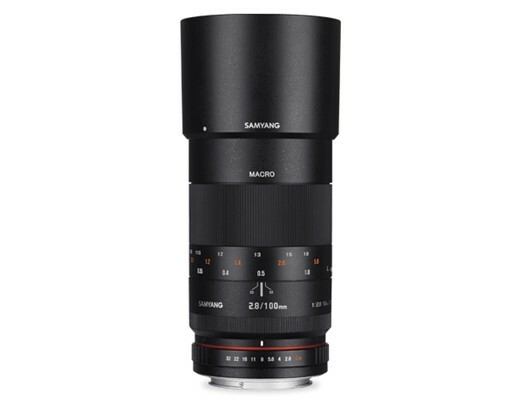 Korean lens manufacturer Samyang has announced two versions of a new 100mm macro lens. The 100mm F2.8 ED UMC Macro is designed for stills photographers, while the 100mm T3.1 VDSLR ED UMC Macro is aimed at those shooting video. The lenses are essentially the same internally, using 15 elements in 12 groups (although the schematic shows only 14 elements) but the VDSLR version is fitted with an uncoupled aperture ring and gears around both aperture and focus controls. The 1:1 manual focus macro lenses feature a 9-bladed iris, and Samyang’s Ultra Multi Coating that is said to reduce internal reflections. The minimum focus distance is 30cm/1ft and a thread is provided for 67mm filters. 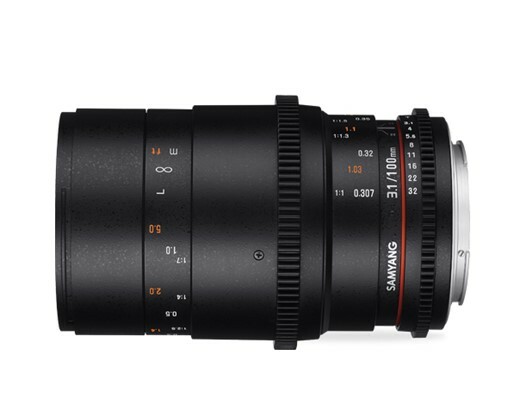 Samyang says it will offer both lenses in mounts for Canon EF, Nikon F, Pentax K, Sony Alpha, Canon M, Fuji X, Samsung NX, Sony E, Four Thirds and Micro Four Thirds cameras. The lenses have no electronic connections, and so will not communicate with camera bodies. Available now, the stills version costs �389.99 (�419.99 for Nikon) and the video version costs �429.99. For more information visit the Samyang website.